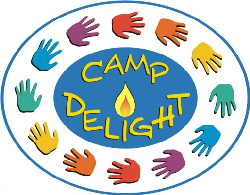 Camp Delight is a major project of the Candlelighters Association of Newfoundland and Labrador. Volunteer camp staff, under the leadership of the Camp Director, organize camp with input from the Candlelighters Association. Camp is made possible by generous donations from the community. Campers are supervised by qualified volunteers, life guards, medical and nursing staff. Should a child need blood work or treatment, he or she will be transported to the Janeway by the medical or nursing staff. Camp Delight involves a variety of programs including recreational activities, arts and crafts, waterfront activities, and special events.